Wesley Explorer | Discovery Homes Ltd. This 1,299 square foot bungalow, with two spacious bedrooms and two full baths, is designed to suit various walks of life. If you are a young family looking for the perfect starter home, this one is it. 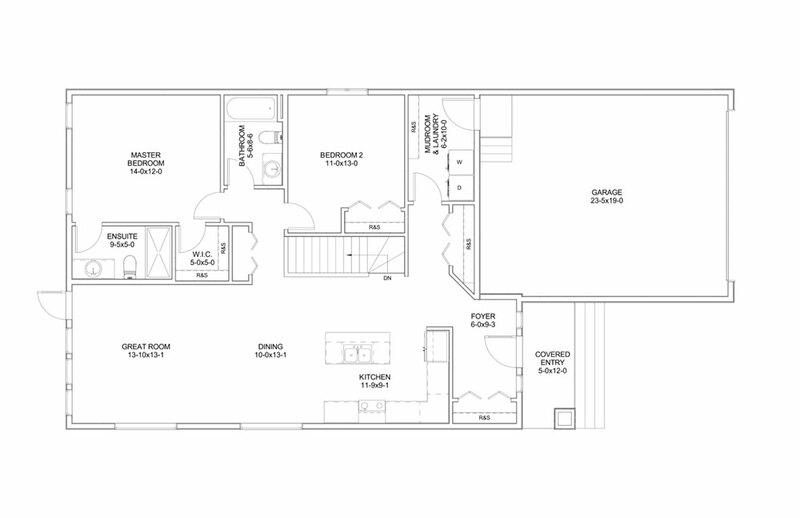 A smart floorplan on the main floor will meet all your everyday needs while the large lower level offers room to expand to a four bedroom home. If you are looking for an “empty-nester” to retire in, the Wesley is just what you’ve been looking for. The covered porch and spacious foyer offer easy flow in and out of the home with connecting hallway to a fantastic mudroom and laundry area. Between all three connecting areas you couldn’t ask for more storage! Nine-foot ceilings throughout and well placed, large windows provide plenty of natural light with the option to build a deck off the back. The kitchen and open dining/great room area provide all you need for cooking, eating and entertaining space with a generous dine-up island, and the entire space is anchored with the open stairwell to the lower level to keep the area feeling as spacious as possible. Two bedrooms are very spacious and private. The master suite includes a walk-in closet and an ensuite bath with two-person shower or option of a tub. 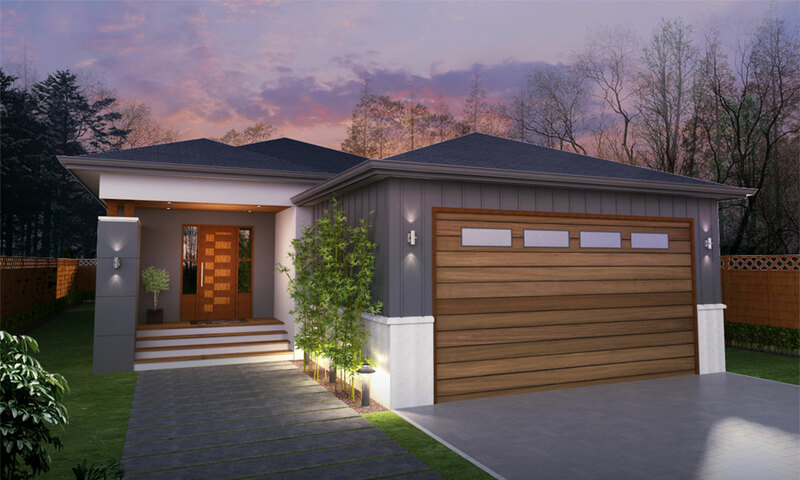 Every Discovery Home includes a basement that is fit for development. Equipped with steel beams that reduce teleposts and I-Joists that increase areas without a bulkhead our homes are ready for that extra living area, should you need it.